Want to do marketing for cannabis businesses? More and more, the emerging legal market is sure to need it. Due to the federal status of the plant, however, marketing cannabis can both be challenging and novel. It is true ‘think outside the box’ work. In this piece, we will discuss differences in three recreationally legal cannabis markets where marketing and advertising have been limited by regulation beyond the scope and scale of traditional industries and how you can adapt as a cannabis marketer. Cannabis is a high-growth industry with built-in, worldwide demand. Yet, while more and more businesses – start up or otherwise – begin to produce, manufacture, and sell cannabis and hemp products, one of the most enduring frustrations of cannabis marketers in the U.S. are at the intersection of state-by-state restrictions and federal illegality. 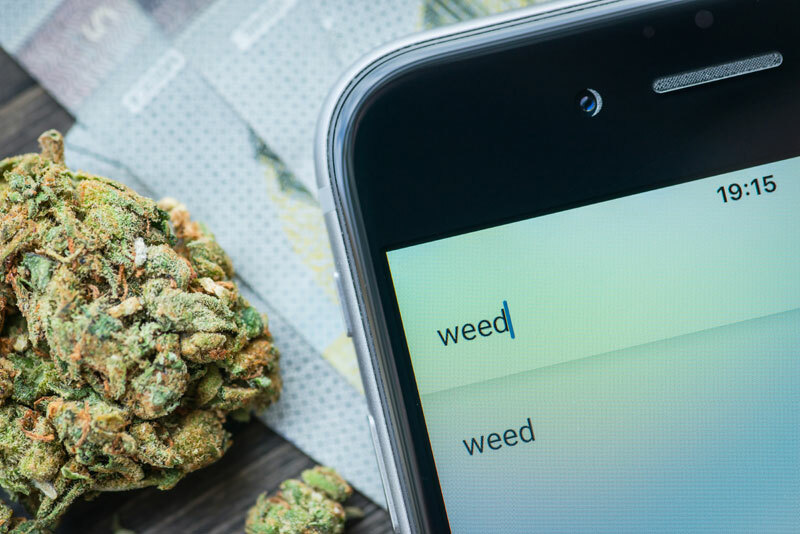 With federal law continuing to consider marijuana as a dangerous, illegal substance, common marketing channels such as Facebook, Google Adwords, Youtube, among others, have been reluctant to allow marketing for cannabis companies. With such restrictions, cannabis marketers require innovative, nuanced, and intelligent marketing strategies to increase business visibility and create lasting competitive advantage. Today we’ll discuss key differences between marketing for cannabis in Alaska, California, and Oregon. In so doing, numerous differences between state regulations emerge. Some affect businesses, others affect consumers, yet all impact the industry. For marketing firms, this means having a finger on the regulatory pulse. Let’s go! The storefront cannot have more than three signs visible to the public of the dispensary by its business name. The size of each sign may not exceed 4,800 square inches, or roughly 33 square feet. In this writer’s opinion, it is silly to measured in square inches; you do you Alaska. Advertisements for marijuana or a marijuana product cannot be misleading, promote excessive consumption, represent marijuana as healing, or engage in any manner suggesting use of cannabis which may appeal to children and individuals under 21. Advertisements for marijuana must be 1,000 feet from addiction or rehabilitation facilities. For a more thorough look at marijuana advertising laws in Alaska, please visit the Alaska Department of Commerce. Undoubtedly the largest by population, the California marijuana industry is set to create thousands of jobs and generate billions in yearly revenues. With regard to marketing for cannabis, they take much the same approach as Alaska – with reasonable differences impacting the consumer. Must not use images or media suggesting use by minors, including toys, inflatables, movie characters, cartoon characters, and anything reasonably appealing to minors under 18. Must not advertise free cannabis goods or giveaways, including BOGO, free with donation, and contest, raffle, or sweepstakes promotions. Outdoor promotional signage must be affixed to a building or permanent structure. Communication, the recipient must be reasonably verified as 21 years of age or older. For a full explanation of cannabis marketing and advertising regulations in California, please visit the California Bureau of Cannabis Control website. Oregon is one of the most active cannabis markets in the US. Much like California and Alaska, marketing in cannabis requires the media or communication not contain items, ideas, or anything other which may be appealing to children and individuals 20 or younger. Here is a few other advertisement requirements for Oregon cannabis businesses. A dispensary can record and retain the name and contact information to provide discounts and other marketing information as long as the individual consents and can easily opt-out. Advertisements cannot make deceptive or misleading statements including suggesting marijuana items are safe because of lab testing, nor are recreational marijuana shops permitted to suggest weed has therapeutic effects. Cannabis marketing materials must not encourage marijuana items being moved across state lines. No consumption of marijuana items or material encouraging the use of marijuana because of its intoxicating effect may be included. Please view the Oregon Liquor Control Commission laws and regulations for more details. Across these three markets, not only is cannabis marketing meant to be deeply removed from minors but also removed from mass-market campaigns. For experienced marketers, options such as pay-per-click, Google AdWords, and Facebook business tools are currently off limits. Even more, cannabis businesses are removed partially or in full from conventional marketing tactics such as billboards, bus stops, radio and television in some markets.